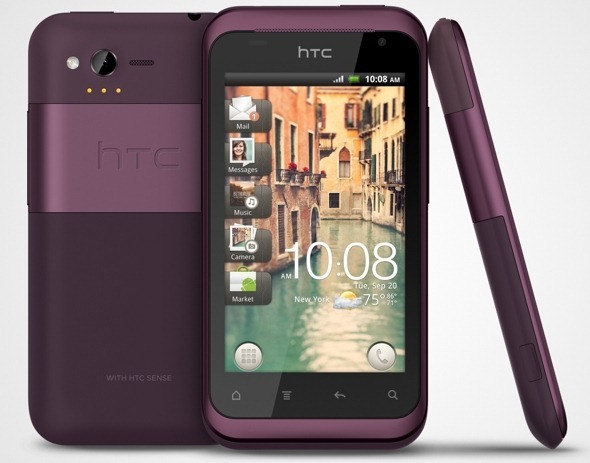 For all the Android-lovin' ladies in the house, HTC has just announced the Rhyme for Verizon: a mid-range device coated in a metallic plum (read: purple) finish with matching accessories. Previously rumored as the Bliss, the Rhyme was designed with the woman in mind (see what I did there? ), complete with "charm indicator" -- an accessory that will glow purple when the phone is ringing, so you never miss another call because you didn't hear your phone beneath... whatever it is that you keep in that bottomless pit of a handbag. It also comes matching earbuds and a Bluetooth headset, as well as a sport armband so you can show off your new purple sidekick while workin' on your fitness. 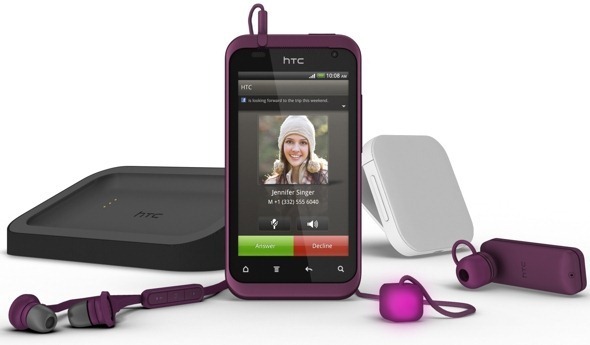 The Rhyme will be available online and at Verizon retail outlets on September 22 for an expected $199 with two-year agreement. [Update x2: It Was Fun While It Lasted] Is The Amazon Appstore Officially Rolling Out Globally?